Cassava (Manihot esculenta), is also called manioc, yuca, balinghoy, mogo, mandioca, kamoteng kahoy, tapioca-root (predominantly in India) and manioc root, a woody shrub of the Euphorbiaceae (spurge) family native to South America, is extensively cultivated as an annual crop in tropical and subtropical regions for its edible starchy tuberous root, a major source of carbohydrates. It differs from the similarly spelled yucca, an unrelated fruit-bearing shrub in the Asparagaceae family. Cassava, when dried to a powdery (or pearly) extract, is called tapioca; its fermented, flaky version is named garri. 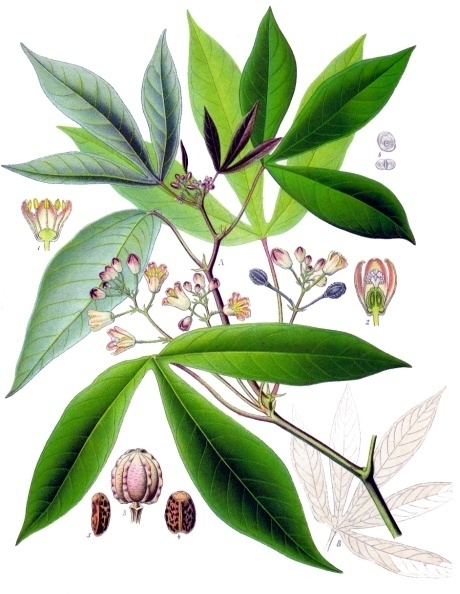 Cassava is the third largest source of food carbohydrates in the tropics, after rice and maize. Cassava is a major staple food in the developing world, providing a basic diet for over half a billion people. It is one of the most drought tolerant crops, capable of growing on marginal soils. Nigeria is the world’s largest producer of cassava, while Thailand is the largest exporting country of dried cassava. Cassava root is a good source of carbohydrates, but a poor source of protein. A diet consisting predominantly of cassava root can cause protein-energy malnutrition. 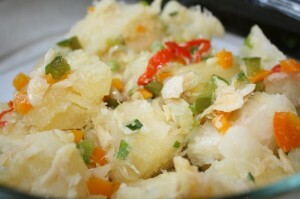 Above two photos of the traditional cassava and salt-fish buljol and cassava and salt-fish pie. Cassava is a melt in your mouth experience with a sweet, nutty flavour, and despite it’s “dark-side”, remains a safe carbohydrate source in many cultures. 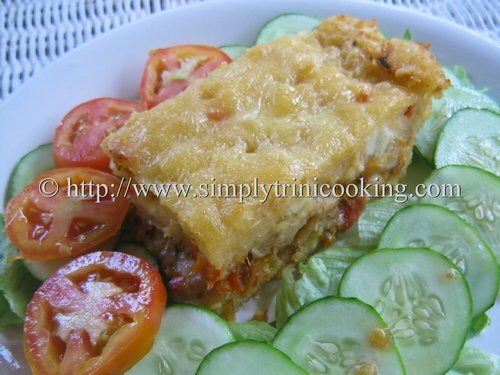 Traditionally prepared with fried salted cod or in a buljol which is a salted cod salad. It is also excellent in soups and can be served with meat and fish stews, however personally eaten hot with a knob of butter, is just heavenly! 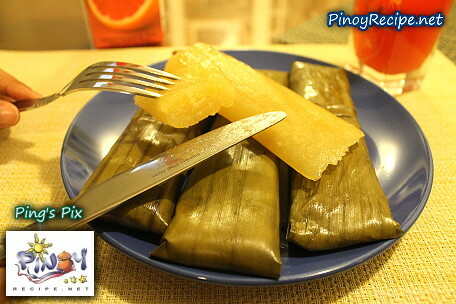 Cassava is also used in sweet dishes in the Caribbean, and similar dishes I have found in the Phillipines and Vietnam. 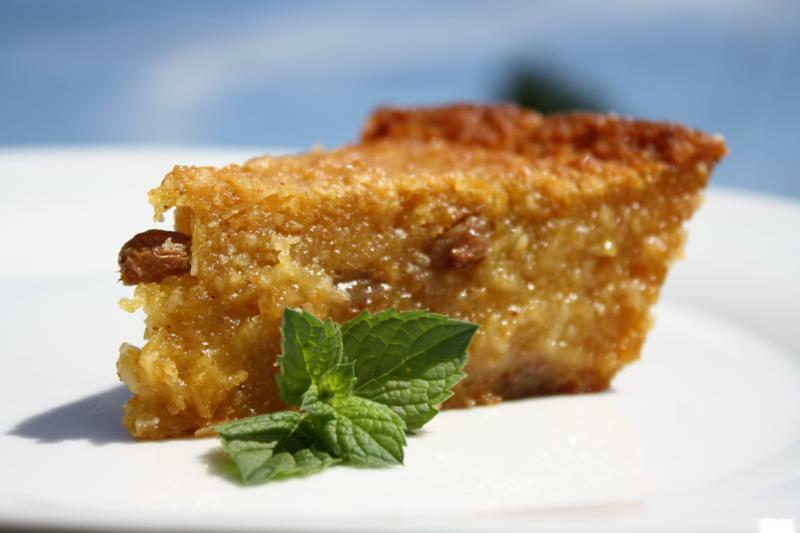 In the Caribbean they are called pone, which is a cassava cake and pamee, a steamed cassava paste in a banana leaf. Caribbeanpot provides two lovely recipes for you to enjoy!